Shake the pot every minute or so. After about 5 minutes, you'll hear the corn start to pop. Shake the pan frequently to keep things moving. After about 2 minutes, the popping should slow. When there is 5 seconds in between pops, it's done. 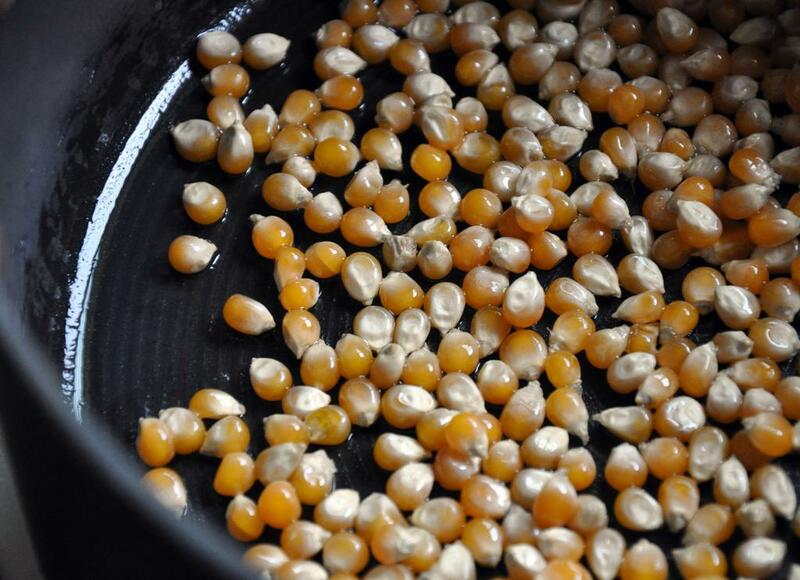 Pour into a big bowl and repeat with the remaining oil and corn. 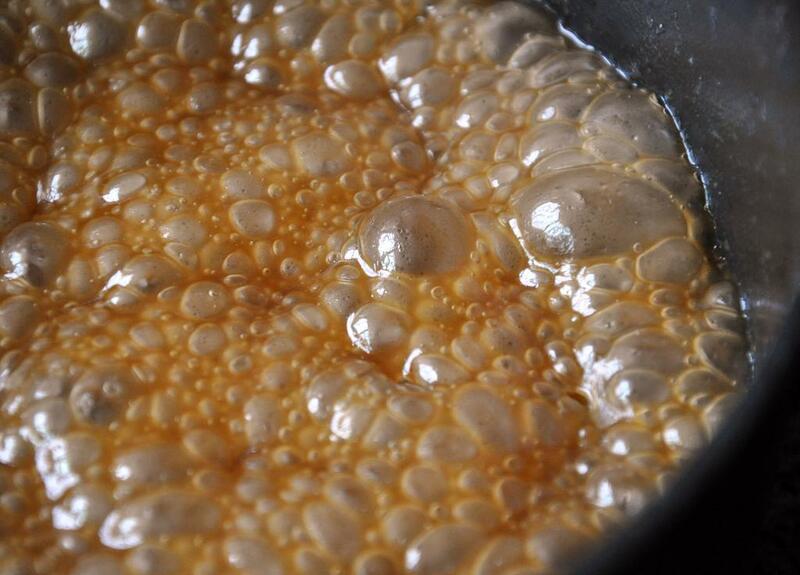 Since the pot is already hot, popping should start within 2 minutes and again be done about 2 minutes after that. 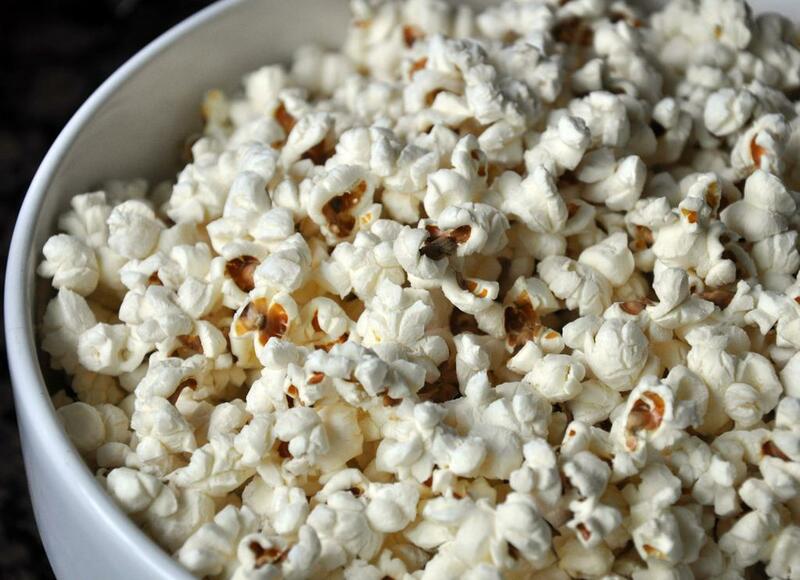 Set popcorn aside. In a small pot, heat butter over medium heat. 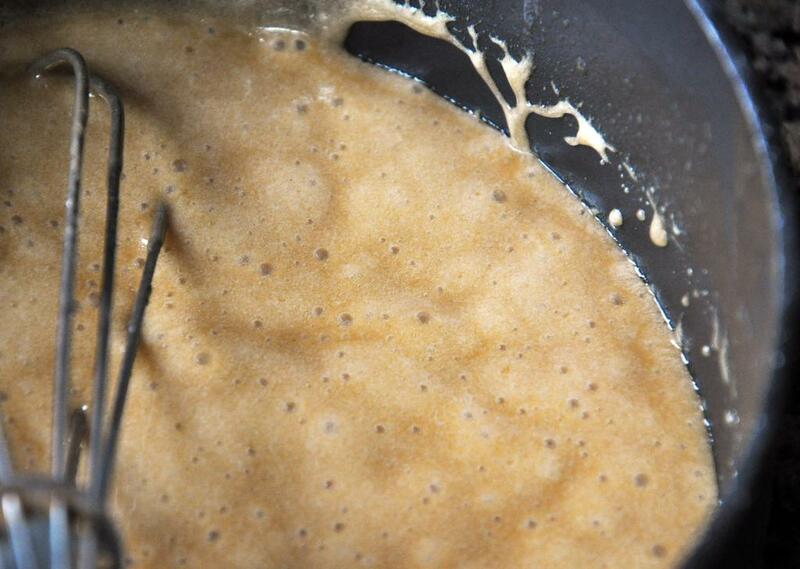 When fully melted, add brown sugar, corn syrup and salt. 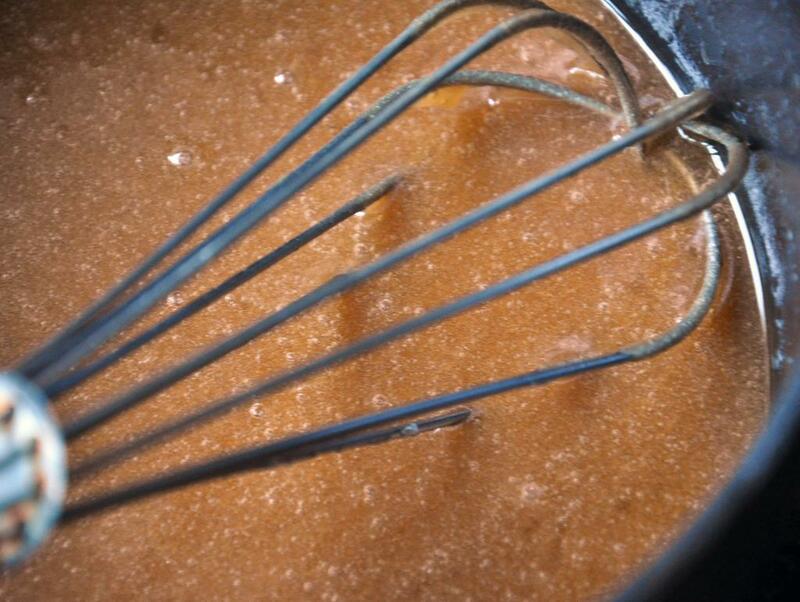 Whisk together until brown sugar is melted. Let stand for a few minutes and when it begins to boil, set a timer for 4 minutes and don't mix it. When the timer beeps, remove it from the heat and whisk in the baking soda and vanilla. The mixture will lighten and puff up. 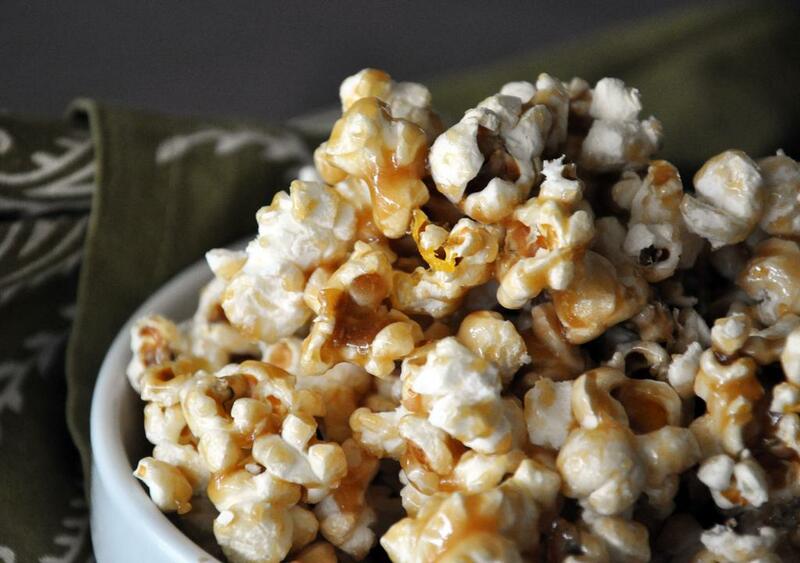 Pour hot caramel over the popcorn in a slow, steady stream while constantly mixing to coat popcorn. You can cool in the bowl or spread on a baking sheet - you just need to decide before the caramel cools.